Mention Dr. Hauschka, you may have heard of this award winning beauty and skin care brand that is loved by celebrities and women across the world that delivers natural and authentic beauty. 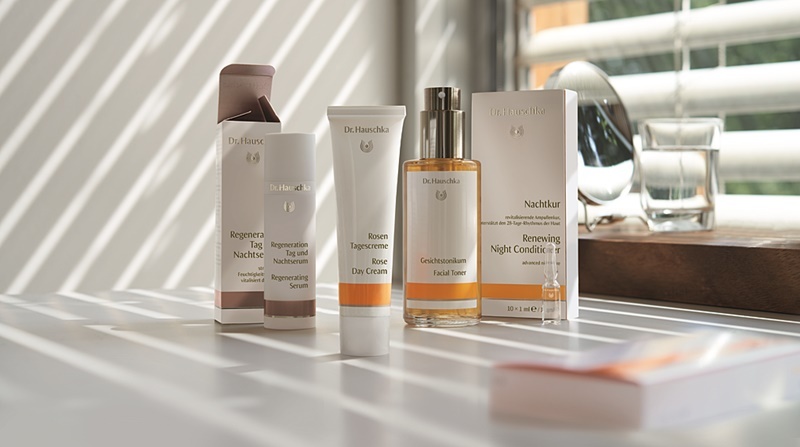 Dr. Hauschka’s range of products complete with a top to toe regime include hair care, face care, body care, oral care, leg and foot care, medicine range for troubled skin and a collection of make-up. Their uniqueness is all products are produced by healing plants specially catering to the skin condition and is organically produced with international certification. · 40 countries worldwide and internationally known. · Natrue certification – highest standards of organic and natural quality products. No paraben, silicone and no animal testing. · A wide range of products – skin care for all skin condition, Med Range for eczema skin, hair care, body care, leg and hand care. · Safe and even gentle enough for babies. 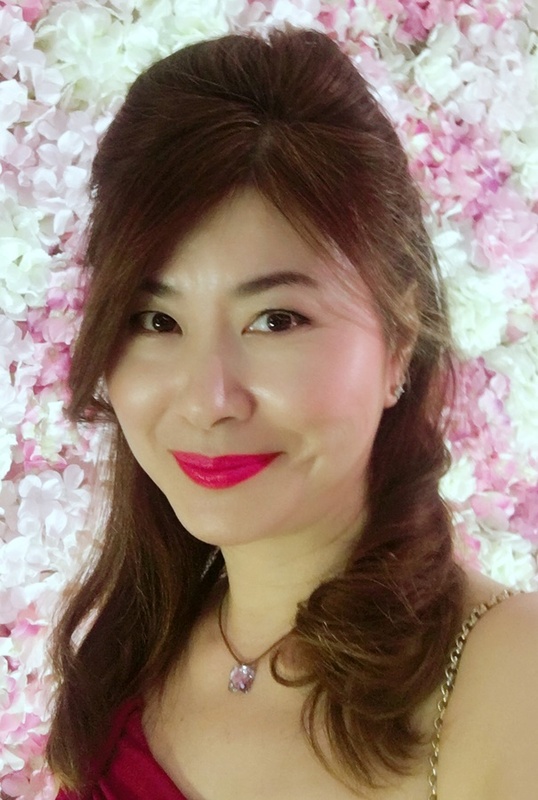 Our Parenting World (OPW) team is pleased to be able to interview Lyne Ong (LO) from PamperInc Pte Ltd, the newly appointed distributor for Dr. Hauschka in Singapore where she will share more with us about her journey with the brand and products they carry. 1) Please share with us more about your background and what made you decide to go into the beauty industry? LO: Since young, it is my passion to be in fashion and beauty world. If I had to choose between the two, I would choose beauty as I hope and aspire to be a businesswoman in this industry. So, after I left school, I challenged myself to join a beauty contest to gain confidence and poise. I was elated when I was crowned Miss Singapore Universe 1990. That was the first stepping stone! I wanted to see the world, what was in the market place and the best way to do it were to fly with Singapore Airlines. Then during my free time while flying, I pursued some esthetician certificates and professional make up courses; Cidesco Diploma equipping myself in a beauty job when I stopped flying. However, I did not pursue going into business as I had to nurture three beautiful daughters along the way. It was important for me to devote myself to being a mother and spend more time watching them grow. I still wanted to be a business-woman but I do not think I could have done it on my own. I was thinking about what my purpose in life was and what I could do to help and bless others with my gifts and talents. This time round, with the strong support from my family and shareholders, we decided to plunge into it. Most importantly I believe God is at the center of all this business development and I have faith that with his help, PamperInc can bring valuable service to our customers. 2) Can you tell us more about PamperInc Pte Ltd and what products and services do you offer? LO: We have a vision to create PamperInc a holistic place to provide products and services for our customers to pamper themselves after a stressful day in the office. Everyday, we face a lot of stress and our physical body and spiritual being require regeneration after a day of hard work. We want to be able to give that pampering touch in our products and services we offer. The first touchpoint would be our skin. Our skin being the largest organ of our body will need assistance to nourish itself during our resting hours. And when we are exposed to the sun and dust, it needs to be protected to prevent dryness and dehydration. That’s why we chose Dr. Hauschka (DH) beauty product which is known as the healing cosmetic. We shall in the near future be adding other products and services along the theme of taking care of the entire body and mind in wholesome ways. 3) Please share with us more about Dr Hauschka and its products? What’s so unique and special about them? LO: DH products is an extension of medical products made by Wala. With 50 years of developing and producing organically cosmetic products with natural healing plants, many consumers benefited from the many goodness of the products for our skin. Dr Hauschka believes in the rhythm of life. Their garden is just behind their laboratory, flowers are picked at the highest point of their potency according to its life cycle. Part of the manufacturing process is done by hand, and they believe that there is a transfer of energy, a rhythmic process and potency to products (in a simple way, is just like hand-made or home cooked food tastes nicer than machine made dishes). DH is probably the industry first producer of organically produced cosmetic products. It is 100% natural and organic. DH has been awarded highest standard certification – Natrue. It does not contain any mineral oil, silicone, synthetic fragrances or dyes. No ingredients from petrochemical, animal testing and no irradiation of end products. The ingredients are not just only natural and is also using medicinal plants transformed for cosmetic use. Take for example, women like to put on lipsticks and unintentionally, they eat their lipsticks while having their meals. With DH lipsticks being natural and do not contain any synthetic fragrances or preservatives, Silicone or lead (potentially causes cancer) and ladies can use it with full peace of mind. Pregnant women can also safely use our body cream and oil. Our products are safe even for babies to use. 4) What are some of the Dr Hauschka’s products that you can’t do without? Renewing Night Conditioner – Water-base ampoules for regenerating and renewing the skin. 8) Firming Mask – it is a cream based mask but you can feel your skin tighten, it helps to firm and tone my skin. 9) Lavender Body Wash – calms and soothe me after a stressful day at work. 10) Body Oil – All the full range of body oil for different purposes but especially Lemon Lemongrass Body Oil which helps to revitalise, tone and reduce the appearance of cellulite on my thighs. 11) Hydrating foot cream – helps to soften my hard skin at the ball of my feet and to moisturise them. 12) Hydrating hand cream – especially after a lot of washing when my hands feels dry. 13) Foundation – Light and easy to apply. Just like a moisturiser, so it’s alright if I forget to apply moisturiser. 14) Translucent oose powder – Loose powder help to keep my face matt and skin looks pore less. 15) Lipstick – It is a must to use natural lipstick that does not contain lead. I have stopped using any other non-organic lipsticks since I started using DH. 5) When and why did you make the leap to starting your own company, PamperInc Pte Ltd? LO: Time waits for no man. Living almost half a century, I hope to fulfil a dream; to be in the beauty business. PamperInc is a very new company that started its operation last September 2017. We are however not new as it is supported by shareholders with extensive experience in retail, financial services and legal. The heartbeat and passion of PamperInc is to generate profit with a right conscience. With the right reasons, we believe our customers will consume our products and services gainfully and return for more. 6) What are some of the challenges that you faced in running your own beauty business? LO: It is very competitive in the beauty industry. Besides, we are new and relatively unknown. DH has been in Singapore for the last 16 years but it is not widely known. Creating awareness of DH products and services will take time and many efforts. Coupled with online price competition who has little or no cost, we are constantly losing those customers who are price conscious. Despite these challenges we believe with our sincerity to service the customer well, we will persevere and push forward to build a well receipted brand. 7) What’s your advice to someone who aspires to be an entrepreneur like you and go into the beauty business? LO: We are no veteran in this field and would not dare to give any advice. All we can say is follow your passion, share and give generously with a sincere heart. I recently went to a seminar, Kane and Alessia, mentor coach for Businesses, he said that ideas are just ideas and if you don’t put it into action, they are just dreams. So in life, you must have a dream, go and get the dream but I believe most importantly, have a prayerful business life. 8) What are some of the hurdles that an aspiring beauty business owner might face and not be aware of? LO: The competition is great out in an already crowded market place. Many new brands with breakthrough scientific and chemically produce products are flooding the beauty markets with quick effects and spending huge marketing dollars to win over customers. The proliferation of product peddlers selling branded cosmetics in the internet platforms at cut throat prices are also giving us stiff competitions. Despite these competitions, we believe DH with products that are produced using natural healing plants, organically produced and a establish track record of satisfied customers for 50 years, will emerge a stronger brand as there is a global movement towards using products that are organically produced. 9) Can you share some of the stories that customers have shared with you about using Dr Hauschka’s products to solve their skin problems? LO: We are heartened by many reviews our customers and friends wrote about DH products after trying them. Cleansing cream – soft, moisturising with mild exfoliation. In terms of texture, this cleansing cream takes a while to get used to. After a few tries, I’ve come to appreciate how it leaves a silky and protective layer. A definite must try! The rose series – my favourite rose day cream and body oil. Smells amazing and melts into my skin. Still in the midst of trying the products but I’m loving the effects and natural scents so far. Concealer stick – it’s easy to apply and blends well into my skin tone and foundation. My blemishes are starting to lighten quite a good bit! Steadily but surely, I’ll be changing more of my routine products to Dr. Hauschka! I was a little apprehensive at first to try new facial and skin care products as I was skeptical about how effective it would be. But after applying the quince body milk for a few days, my skin is as smooth as baby skin and the natural smell is just nice and not too strong. What amazes me the most is the blackthorn toning body oil which works wonders. My tummy became flatter and more toned after 3 days of application and massaging after shower twice a day – day and night. I was packing my cartons and my finger had a broken skin so after my bath I use the Hydrating hand cream you gave me to apply on it. My broken skin healed. This is definitely a better cream then those medicated cream. I love the day eye cream and lip balm. The eye cream is not greasy at all even whole day outside. As for the lip balm, my peeling lip stop! Love the product so much. 10) What about some of the makeup and skincare tips that you would like to share with our readers on looking good in a tropical, humid climate like Singapore? LO: All DH creams are quickly absorbed into our skin as the molecules are very tiny so, you will not feel that there is a layer of oil applied on your skin. For DH products, less is more, you do not need to put too much and it is still effective. They are great for our tropical climate. DH toner is a great spray mist for hydration, replenishment of moisture to balance the skin especially during the hot season. If your face ever turns greasy, use the Clarifying toner and instantly you will feel your skin calm and your face is no longer as shiny. For menopausal women who have hot flushes, we have DH Intensive Treatment spray for menopausal women to calm the redness and reduce their heat so that they do not feel irritable. Night Serum is made with apple blossom extract and its texture is light, your skin feels soft, smooth and radiant the next morning. For some who are lazy or do not like heavy creams on their faces, then this will definitely be a wonderful solution. People always think that body oil are oily and undesirable in our climate, however, for DH body oil, you can be rest assured that the oil absorbs quickly into the skin and does not leave any trace of oil on the skin. The after effect of application is, you will have a smooth and shiny well-balanced skin! If you have a sun-burned skin, DH After Sun moisturizer to help you cool your skin and moisturise it so that it diminished your chances of getting peeled. For people who have eczema, itchy spot due to rashes, apply the DH Med Range Acute Care Potentilla to the affected area, it will help reduce the itchiness and soothe the skin. DH foundation is light and creamy like a moisturiser, yet it is non-oily, it gives a natural sheer to the skin which not only beautifies but also nourishes the skin. When you wear it on with the loose powder, it creates a matt look which is perfect for our humid weather. DH make up and colours are very natural and help to accentuate and bring out your beauty – inner and outer. LO: We are preparing to enter Malaysia later this year. 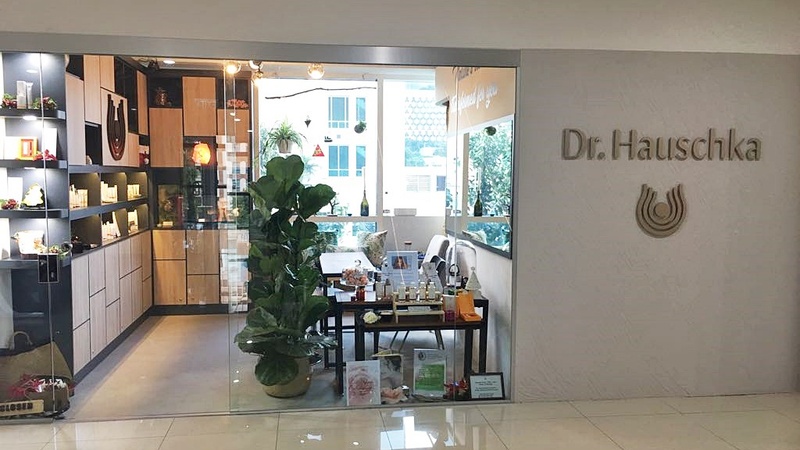 When DH is more well received in Singapore and Malaysia, then we will look for other brands that will complete our offerings to customer to pamper themselves in wholesome ways. 12) Lastly, do you have anything else that you would like to share with our readers about PamperInc Pte Ltd and Dr Hauschka’s products? Any upcoming promotions that you would like to share? LO: We welcome all readers to come and try our 11/2hr DIY facial workshop. Experience the luxurious and pampering scent of nature arousing your senses and calming your mind. Call, email or send a message to Lyne at 97218218, contact@pamperinc.sg. We are happy to inform you that besides our own shop at Bugis Cube, we are now in Robinsons Jem, #01-07-13 Beauty Hall. Currently at Robinsons, we have special gift sets, gift with purchase happening now plus less 10% for all products and less 20% for Make-up till 15th July 2018. Thank you Lyne Ong for taking our interview!